HTC on Thursday announced the Desire 310, a new smartphone that will launch next month, and it offers a unique option to the entry-level market. The device is equipped with core HTC features like BlinkFeed and Video Highlights, but as you can see in the image above it also runs on a somewhat stock Android experience – complete with the standard Android 4.2 experience outside of BlinkFeed and the camera tweaks. It kind of reminds us of what Motorola did with the Moto X and Moto G – it added some new features, but left the underlying Android software relatively untouched. The device is billed as a new “entry-level” smartphone, and features a 1.3GHz MediaTek quad-core processor, a 4.5inch display, a 5-megapixel camera, a 3-megapixel front-facing camera and dual-SIM card support. It’s not aimed at developed mobile markets, however, and doesn’t support faster 4G LTE networks, which means we probably won’t ever see it end up in the United States. As the image suggests, it will launch in black, white and a reddish orange hue. HTC said it’s putting a big focus on its Desire family of smartphones this year, in an attempt to bolster its offering in the low and mid-range market, where it feels it has lost a lot of ground after focusing on flagships like the HTC One. That market is crowded, too, however, and we argue that HTC faces a lot of danger ahead if it doesn’t tread carefully, especially as the company’s financial performance continues its downward trend. 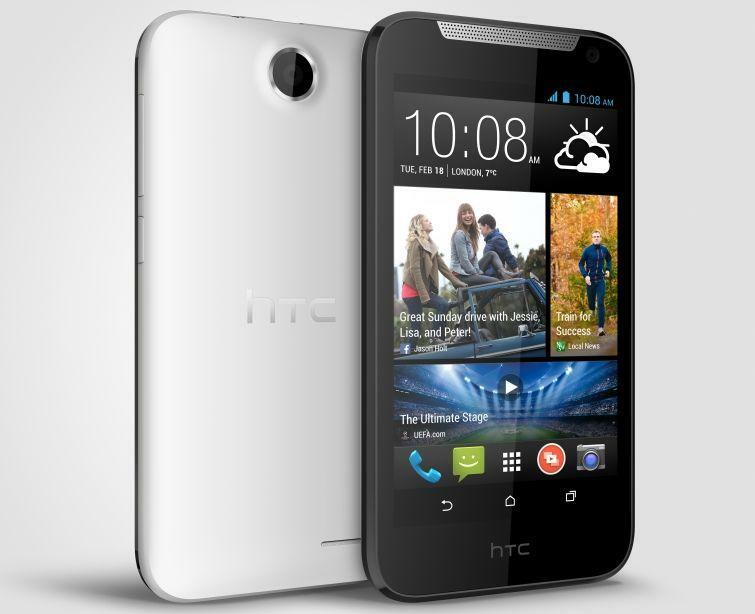 HTC said the Desire 310 will make its debut in Taiwan this April. So far there aren’t any public plans for additional markets, though the Desire family typically launches in more than just one country.